As a concept, self-service is nothing new. From paying at the supermarket self-service checkouts to online banking, consumers don’t want to have to wait for assistance if they know they can get it themselves. It’s no different in the workplace. With a self-service system, employees can download payslips, request annual leave, look at policies and HR documents and update personal information - all without once contacting HR personnel. BrightPay now includes direct API integration with Sage One, Xero and Quickbooks Online. With this direct integration, users will be able to directly send the payroll journal to the accounting package from within BrightPay. This accounts software integration eliminates the need to export CSV files from the payroll software and import them into the accounting system, saving time and reducing the risk of errors. BrightPay Connect is better than ever before. Bureau customers now have the ability to send requests to clients through BrightPay Connect’s secure portal. Requests can be sent to get client approval of the payroll summary before the payroll is finalised or to ask clients to upload their employees’ timesheets and payments, known as Client Payroll Entry. BrightPay 2019/20 is now available to download - What’s new? Looking for customer support? See if our website can help! It's currently a busy time for our customer support and phone lines with the 2018/19 tax year coming to an end and the new tax year commencing. We have updated our FAQs to include the top 10 questions that we get asked. You can also search our online support documents before getting in touch. You may get the answer to your query so much more quickly! In the six years since BrightPay was launched, a new wave of payroll innovation and cloud access has completely remoulded the sector, from onerous, manual input into a low effort, dynamic and automated service offering. Download our free guide for payroll bureaus where we look at four specific areas where cloud innovation is already impacting the future of payroll. When it comes to being GDPR compliant, you might think that you only need to password protect all the payroll reports and payslips. There is nothing in the GDPR legislation that states it is no longer permissible to email payslips, that doesn’t mean you can email payslips without protecting the information you send. There is a strict process that needs to be followed. Accountex 2019 - will you be there? It’s that time of year again where accountants, bookkeepers, practice managers and finance directors are preparing to travel from all over the UK to Accountex. Discover the latest technical tools from over 250 exhibitors that could help you run your practice more efficiently and productively. After winning Payroll Software of the Year 2018 at the Accounting Excellence awards, the BrightPay team are back with a bang this year, our fifth year in a row. Minimum auto enrolment contribution rates faced further increases on 6th April 2019, with the total minimum contribution rate now at 8%. Employers are now required to contribute a minimum of 3%. Employees need to contribute the remaining 5%. Find out more about the various scenarios that can occur and how to handle them in BrightPay. When it comes to being GDPR-compliant in a payroll bureau, you might think that you only need to password protect all the payroll reports and payslips. There is nothing in the GDPR legislation that states it is no longer permissible to email payslips, that doesn’t mean you can email payslips without protecting the information you send. There is a strict process that needs to be followed. Stay GDPR compliant with BrightPay Connect. Book a demo to find out more. The ability for employees to view and edit their own data is one of the most important advancements of HR in recent years. Providing employees with remote access to view personal information held is also a best practice recommendation of the GDPR. It's obviously true that employees have a lot to gain from a self-service system, such as BrightPay Connect. The option to view and manage their data online provides a source of independence, power and control. But what about HR personnel, managers and everyone else involved in the payroll and HR process? They benefit too! For administrators, it's a way of delegating the workload that would otherwise be handled solely by them. Implementing an employee self-service system is a way to re-distribute various tasks and bring it to the employee’s level. Printing & emailing payslips - With some employee self-service systems, such as BrightPay Connect, payroll administrators no longer need to manually print or email payslips to employees. Payslips are automatically available to employees through their self-service portal either on, before or after the payday, as selected by the employer. Responding to payslip requests - It can be very time consuming and monotonous for payroll administrators to respond to employee requests for past or lost payslips. With an employee self-service, the employee can now access their information directly by logging onto their portal where they can view and download historic payslips. Responding to leave balance enquiries - Similar to payslip requests, payroll administrators often get enquiries regarding an employee’s annual leave entitlement remaining. Again, the employee can login to their self-service portal to instantly view their leave balance along with their leave entitlement for the year. Managing annual leave requests - Managing annual leave could be considered a full-time job in itself with the amount of paperwork and administration required. An employee self-service portal will enable employees to request annual leave electronically, with an automatic notification sent to the supervisor or manager to approve or decline the leave request. Once approved, leave will be automatically added to the employee and employer calendars, and will also synchronise back to the payroll software on the payroll administrators desktop, streamlining the entire annual leave process. Updating employee contact information - No longer does the HR personnel need to collect or change employee details. Instead, the responsibility is fully with the employee to ensure that their personal details are updated and correct at all times. Reduce errors - Entry errors and other mistakes may be avoided by allowing employees to enter their own personal information. By eliminating the need for double entry and allowing employees to evaluate their own information, the chances of inaccurate information may be greatly decreased. Reduce sick days - Some businesses have noticed a reduction in sick days since implementing employee self-service systems. As sick days are much more visible on screen to both employees and their managers, this likely acts as an incentive to keep sick days to a minimum. Cut costs - The administrative cost of processing leave or printing out payslips should not be underestimated. Reduce paper - The ability for employees to access payslips and other documents online can be a time and money saver. By replacing paper documents, you are also reducing your impact on the environment. Keep staff up-to-date - An employee self-service system can allow you to notify employees of policy changes or company-wide announcements. Employees don’t need to access their email to view changes - they can simply login to their self-service employee app wherever they are to stay abreast of any legislative or company-wide changes that may affect them. The employer can then track which employees have viewed the notice, resource or document. If your HR and payroll administrators spend a lot of time printing payslips, managing annual leave or responding to employee requests, consider how an employee self-service system could help your business. When implemented successfully, a company may see immediate increases in productivity and efficiency. Managers and HR personnel will save labour hours and frustration on a daily basis, and instead have more time to concentrate on more important tasks. 2019/20 rates, thresholds, triggers and calculations for PAYE tax, National Insurance contributions, Student Loan deductions, Statutory Sick Pay, Statutory Maternity Pay, Statutory Adoption Pay, Statutory Paternity Pay, Statutory Shared Parental Pay, Automatic Enrolment pensions, company cars, vans and fuel. The emergency tax code has changed from 1185L to 1250L. When importing from the previous tax year, L codes are uplifted by 65, M codes are uplifted by 71 and N codes by 59. Full support for the 2019/20 Welsh Rate of Income Tax (WRIT) codes, rates and thresholds, as well as continued support for those of the Scottish Rate of Income Tax (SRIT). Support for the new Postgraduate Loan deductions. Ability to process 2019/20 HMRC coding notices (including new PGL1 and PGL2 notices). April 2019 National Living Wage rates. Eligible employers can continue to claim the £3,000 Employment Allowance which can be used to reduce Employer Class 1 Secondary NICs payments to HMRC. Updated P11, P45, P60, P30, P32, P11D and PBIK forms. Updated RTI submissions in line with the latest HMRC specifications. BrightPay continues to be officially HMRC Recognised for all submission types (FPS, EPS, NVR, EXB, CIS300, CISREQ). From April 2019 onwards, the minimum required pension contribution level is 8%, at least 3% of which must be contributed by the employer. BrightPay 2019/20 now uses and validates against this increased level by default. Where pre-April 2019 minimum levels were being used in 2018/19, BrightPay 2019/20 will automatically uplift them on import. With the concept of 'staging' for automatic enrolment now very much in the past, BrightPay is instead focused on asking for and working with the Next Re-enrolment Date. For opted-out or ceased employees (as well as employees who are flagged for re-enrolment) the previous opt out/cessation date is now clearly visible and can be edited if need be. If an employee is marked as opted out or ceased, but the opt-out/cessation date is not known, BrightPay now flags for automatic re-enrolment anyway (and allows the missing date to be entered). 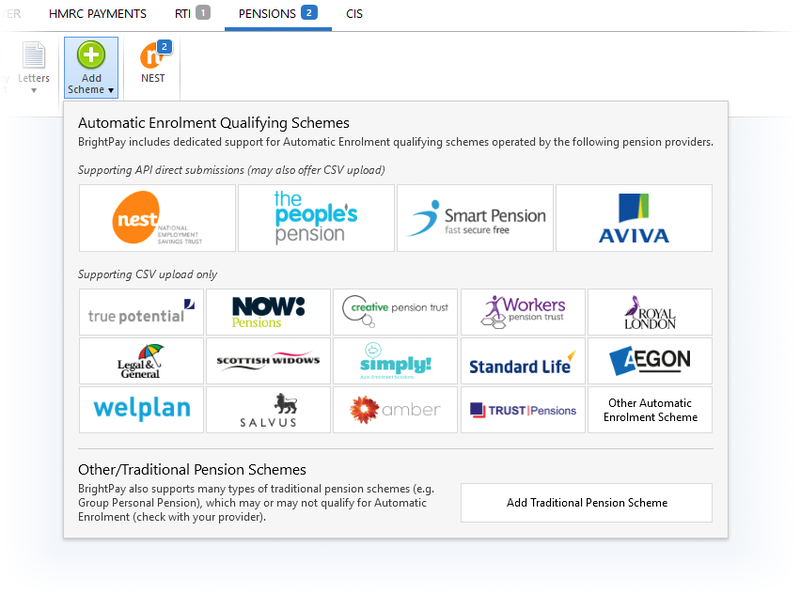 The auto enrolment qualifying schemes are now categorised by API/CSV support, and ordered by popularity. The traditional pension scheme 'types' have been removed – when adding a traditional scheme you can now simply set the tax relief and AVC options directly instead of having to first choose the right type. Various enrolment/contributions API submission and CSV formats have been updated to the latest versions. As mentioned in the release notes for the most recent upgrade to BrightPay 2018/19, the EYU (Earlier Year Update) submission is no longer supported by HMRC and has now been removed from BrightPay altogether. To make corrections to 2018/19 or 2019/20 payroll data going forward, an Additional FPS is to be used. Ability to exclude an employee pay record from an FPS if it has zero amounts only. Ability to force include an employee's starter/leaver declaration on an FPS submission that covers a different period to the employee's starting/leaving period. Ability to unmark an unsent submission as contributing towards the Number of Unsent RTI Submissions count in BrightPay. New HMRC Receipt document which presents HMRC's response to an RTI submission in a clear, shareable format. A popular customer request has been to create a 'departmental' payroll journal in BrightPay. We've went one step further, allowing not only for a simple departmental mapping of nominal account codes, but for an advanced multi-option mapping as well. For example, if you want to map commission paid to directors on a weekly basis in the sales department to a particular account code, you now can. For Xero journals, BrightPay now supports including the department as the Xero tracking option, including where employees are split across multiple departments. To make all this easier to manage, the Create Journal window in BrightPay now remembers it's size and position between usages. BrightPay now supports posting journals directly to Sage, Quickbooks and Xero via API (while continuing to offer the creation of a CSV journal as an option if need be). We have significantly improved the power and flexibility of how pay records are imported from CSV, effectively allowing an entire pay run to be imported from a single CSV file if need be. Multiple pay items (of a single payment type, or mixed types) can now be imported from a single CSV line. The Import from CSV window has been redesigned to be more user-friendly and intuitive. A popular customer request has been for BrightPay to better handle the definition, carry-over and adjustment of annual leave in the situation where the annual leave year is offset from the tax year. In BrightPay 2019/20, you can now enter the annual leave settings for each overlapping year individually, giving you full control and helping you work out entitlements more accurately. You can now customise how subcontractors are displayed and ordered across the BrightPay interface. When selecting from a list of subcontractors, BrightPay now includes a new 'Select By' button that allows you easily and quickly select only the subcontractors that match specific criteria. New Payments menu in the subcontractor toolbar which includes various handy functions including the ability to batch print multiple P&D statements for a single subcontractor. New CIS Year End Statement document. Ability to unmark an unsent submission as contributing towards the Number of Unsent CIS Submissions count in BrightPay. New HMRC Receipt document which presents HMRC's response to a CIS submission in a clear, shareable format. In late 2018 we introduced a powerful new feature for Bureau customers of BrightPay Connect: the ability to request client payroll entry and/or approval for a payroll run, which is then automatically facilitated though a secure, GDPR-compliant process within the BrightPay Connect dashboard. Sign in to your BrightPay Connect account and click the Requests header link to find out more. When hovering over the 'number of submissions' for an employer on the BrightPay startup window, a popup displays what the number(s) represent. The full description of an hourly or daily payment is now shown on-screen for finalised pay periods. BrightPay will now prompt you to change an apprentice employee who is set to be on NI table H but is over 25 years old. On the employee calendar, the parenting leave info panel now shows the total number of KIT days taken for the selected period of leave. Corrects handling of Statutory Adoption Pay and Statutory Shared Parental Pay in weeks beyond the week that employee took their 10th KIT day (or 20th SPLIT day). When selecting which analysis columns to include in a report, they are now grouped by category. Separate 'cash equivalent' columns for each of the benefit/expense types. Total attachment order deductions excluding admin charge. Adds a 'description' field for all kinds of benefits, and shows the entered description for each benefit on the payroll interface. Options to show separate benefit payments on employee payslip, rather than just a rolled up 'taxable benefits' figure. The Number of Actionable Coding Notices is now shown on the coding notices toolbar icon, and is available as a column on the BrightPay startup window. New A4 payslip template, designed to be used where there are too many items to fit on the A5 template. As part of our new licensing model, Bureau customers can now view/edit the list of employers for which they have access. Lots of minor improvements throughout the entire BrightPay user interface, as well as the latest bug fixes. Ability to send enrolment/contribution submissions directly to the People's Pension via API. Ability to quickly create an new/additional employment for a previous/existing employee. Coding notice checks can now use agent credentials if available. Ability to specify the default starting body content to use when emailing a document. Ability to quickly turn on/off the stored email signature. When emailing a document, there is a new menu to quickly select and re-use recently used body content. Email body content now accepts 'Markdown' formatting. New startup window column for Next Estimated Pay Date. Two new tick boxes in BrightPay Preferences to indicate where Next Estimated Pay Date is in the past (which shows a red background colour for applicable employers on the startup window) or indicate where Next Estimated Pay Date is within X days (where X is customisable – shows a yellow background colour for applicable employers on the start screen). 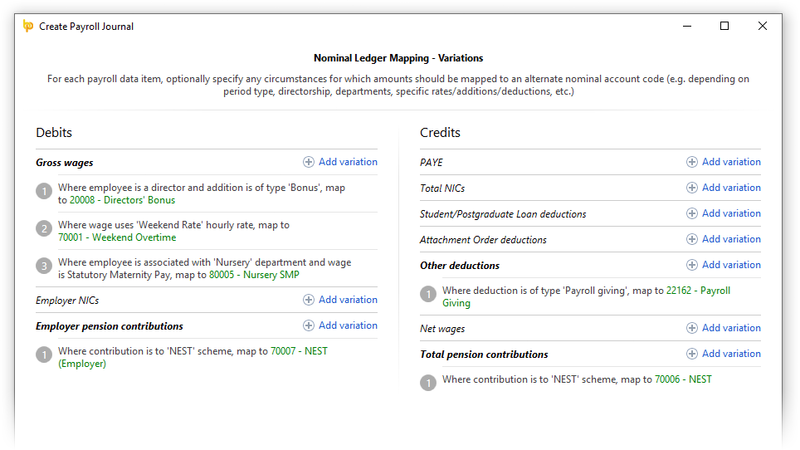 Ability to batch finalise the payroll for multiple employers. Ability to select employers by label colour when preparing a batch operation. Ability to persist a “Net to Gross” setting going forward (i.e. rolling net pay). Ability to create a bank file for paying HMRC. Allows a deduction to be calculated as a percentage of Auto Enrolment qualifying earnings. Enables subcontractors with zero amounts in a pay period to be excluded from a CIS300 submission. When in Payroll, the name of the active employee (i.e. the part of large text title) can now be clicked to navigate directly into the Employee > Edit Details screen for that employee. We're continually at work on the next version of BrightPay, developing new features and making any required fixes and improvements. See our release notes to keep track of what has been changed to date at any time. I know you've all been dying for another one so here it is; a brand spanking new GDPR blog! Well… if you’re like me then you cannot get enough of GDPR. For my birthday, my pals over at BrightPay got me an extra special GDPR gift in the form of two new Bureau features called ‘Client Payroll Entry’ and ‘Client Payroll Approval’. So we all know how much of a nightmare it is inputting timesheet data from your clients into your payroll software. The back and forth, and the mistakes. Because if you duplicate the data, the margin for error is in turn doubled. Not only this but the payroll data is sent to the bureau in the form of emails, word documents, spreadsheets, sometimes even a phone call. We’ve talked before about emails and GDPR but in case you missed it, it’s better to avoid. Emails are not the most secure channel, especially for the vast amount of sensitive employee data being transmitted. If you do use email to send clients payslips, it is strongly advisable to ensure payslips are encrypted and deleted from email servers once sent. And of course, you would need to ensure passwords are used on all payslips. 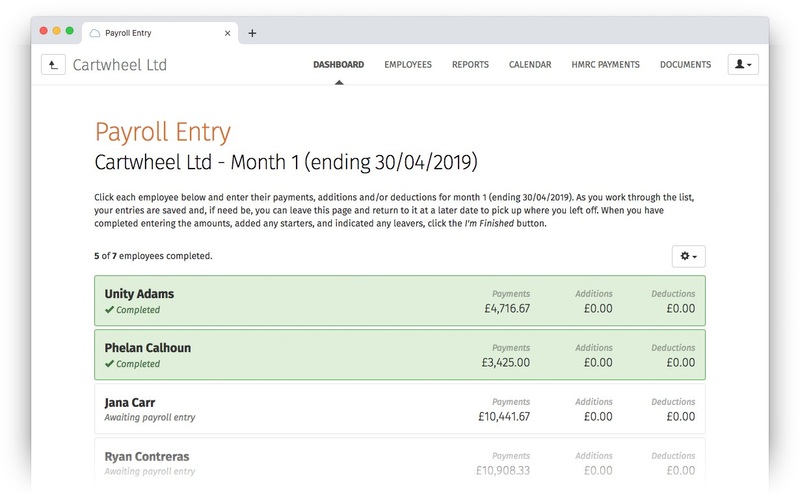 So what this new Payroll Entry Feature does is put the onus on the client to input their own payroll data into the secure employer dashboard, thus reducing the back and forth and making sure all that important data is sent through a secure portal. Once the payroll data has been submitted to the bureau, hey presto - the bureau has all of the accurate payroll information, ready to download to the payroll software. Before, this would have had to be approved via email and then sent to the client who would send back what needed to be rectified and then back and forth, back and forth again. It’s a mess! But with the second new feature from BrightPay Connect is the Payroll Approval feature - the bureau sends the client a preview of payroll summary statement to the secure BrightPay Connect portal, the client reviews it, approves it and then *ping* the bureau has confirmation that the payroll is correct and everyone lives happily ever after. Big changes are happening to payslips in 2019 - are you ready for them? Every new year brings with it a host of changes and 2019 is no different. Here’s a quick recap of the two most important changes that have happened/are yet to happen to our lovely payslips in the 2019/20 tax year. BrightPay 2019/20 and BrightPay Connect are now available to pre-order. BrightPay 2019/20 is scheduled for release week ending 22nd March. We will send you an email once BrightPay 2019/20 is released and ready to download. All customers will also receive a full list of new features when BrightPay 2019/20 is released. BrightPay won Payroll Software of the Year 2018 at the Accounting Excellence awards. With a 99% customer satisfaction rate, our products are used to process the payroll for over 200,000 businesses across the UK and Ireland. Under automatic enrolment, minimum pension contributions are required to increase over time. The first increase took place last April at the start of the 2018/19 tax year. The second increase will take place on 6th April 2019, with the total minimum contribution rate increasing to 8%, representing a 3% employer and 5% employee contribution. These increases are seamlessly handled by BrightPay 2019/20. With the 2019/20 tax year fast approaching, this 60 minute webinar will cover the main legislative changes coming into effect and how they will be handled in BrightPay 2019/20, as well as the new functionality we will be introducing into the software. We will also look at a quick introduction to the BrightPay Connect add-on product. BrightPay’s employee self-service smartphone and tablet app is available with our BrightPay Connect add-on. Employee mobile apps offer many benefits for employers, employees, and the business as a whole. The user-friendly portal will streamline payroll processing while reducing the number of payroll queries from employees. The UK is due to leave the European Union on the 29th of March 2019. There are thousands upon thousands of EU citizens currently employed by British companies that will end up being illegal workers if they do not apply for settled status by the deadline. You as the employer, have an obligation to prepare them for this and make sure that your house is in order. A time consuming part of payroll is requesting and receiving employee hours and timesheets from your payroll clients. Today, managing and tracking this information is much easier thanks to online tools and applications. Ultimately, your client becomes accountable for ensuring the payroll information is 100% correct before the payroll is finalised. Security is extremely important in payroll bureaus. After all, you are handling the personal and financial data of your clients and your client’s employees, which puts you at risk of data breaches and cyber attacks. In order to comply with the current GDPR legislation, you also need to follow a strict process when processing the payroll data, and make sure that your system meets the GDPR regulation standards. Ten million people have joined workplace pension schemes since auto enrolment began in 2012. The scheme faced its first major test in April, when the total minimum pension contributions increased from 2% to 5%. Under automatic enrolment, minimum pension contributions are required to increase over time. This happens on set dates - the 6th of April 2018 and the 6th of April 2019 - and is a key feature of automatic enrolment. By law, a total minimum amount of contributions must be paid into a pension scheme. The employer must make at least the minimum employer contribution towards this amount and employees must make up the difference. It is an employer’s responsibility to make sure these increases are implemented. In 2019, the minimum contribution levels will rise again on the 6th of April, with the employer paying a minimum of 3% of qualifying earnings towards the pension. Staff members will have to make up whatever shortfall remains of the new total minimum contribution up to 8%, including the employer's contribution. These increases should be seamlessly handled by payroll software. If a member does not wish to pay the increased contributions due, they can choose to opt-out of the pension scheme, or they may be allowed to remain at the lower contribution rate after the increase. This will mean they continue to be a member of the scheme, but as contributions are below the minimum level required by law, the scheme will not be a qualifying auto enrolment pension scheme. Since April 2018, many pension providers have said that they have seen very little impact on opt-out rates as a result of the higher contributions. In the two months after the April 2018 increase, the opt-out rate rose by approx. 0.2% to 8.2%. In a survey of nearly 350 employers, 88% said that the increase in minimum auto enrolment contribution rates in April 2018 had not reduced scheme participation. Prior to the increases, there were fears of a bigger spike, with the Department for Work and Pensions (DWP) projecting opt-out rates as high as 28%. There was also a very low percentage of workers who opted to reduce their contribution rate to the previous 1% contribution level. One employer with 30,000 workers enrolled had just 40 employees choosing to remain at the lower amounts. Employers are predicting that opt-out rates will remain low as auto enrolment contribution rates are set for another increase this year. Click here for more information about phasing / increases to minimum contributions. Unless you’ve been living under a rock the past 2 years (which to be fair would have been more fun) you’ll know that the UK is due to leave the European Union on the 29th of March 2019. Yes, good ol’ Brexit has become everyone’s new favourite B word, everyone's favourite news story and everyone’s favourite topic of conversation at family dinners. Wherever on the political spectrum you lay and whether or not you think there will be another referendum; or that some miracle could happen that would save the UK from the unending embarrassment we have found ourselves in, the fact remains that we are due to leave the EU in March this year. And it doesn’t change the fact that there are thousands upon thousands of EU citizens currently employed by British companies that will end up being illegal workers if they do not apply for settled status by the deadline. You as the employer, have an obligation to prepare them for this and make sure that your house is in order. We love our EU nationals, no matter what was voted, and we want them to stay. So what happens? European nationals and their family members currently in the UK have the option to apply under the current system for a permanent residence document. This involves providing evidence that the EU national has spent a continuous period of 5 years in the UK. This can be proved by providing P60s for each year of employment so this is where your payroll department can help. As Theresa May’s deal has been taken out back with the rest of the rubbish, the new EU settlement scheme will now come into effect bang on the 29th of March 2019 with no transition period. As mentioned, the scheme allows those who have been residing in the UK for 5 years to apply for “settled status” but also those who do not yet have 5 years continuous residence to apply for “pre-settled” status. In the event of a no-deal (which is looking ever more likely much to the sheer delight of Boris Johnson) the deadline for applications will be the 31st of December 2020. Now, we are people and therefore we are the WORST so what is inevitably going to happen? People are going to forget to apply for the required settled and pre-settled status by the deadline! What will happen then? If you believe the papers it will be chaos! We can only speculate. But what we do know is that, as an employer, if there are any EU nationals that have not applied that are in your employment, you are now employing people who are in the UK unlawfully and you are breaking the law. What can you do to prevent this? What you can do is offer practical support and resources to your EU employees. You can do this by hosting information workshops, providing them with documentation to support their application in advance, and by doing a company wide audit of which of your employees will be affected. You can also schedule catch-ups to see where they are and what support they need. Amazingly, the government have decided to scrap the £65 application fee (never thought I’d see the day they would say no to a bit of cash) so that’s one less moral dilemma to worry about. Speak to your HR department, speak to your payroll department, speak to your employees. You can also download the EU settlement employee toolkit from the government website that helps equip employers with the right tools and information to support EU citizens and their families to apply to the EU Settlement Scheme. We introduced the initial version of BrightPay over seven years ago. Since then, we’ve added hundreds of powerful features and enhancements, with many more planned for the future. We have invested a considerable amount in technology and resources and we intend to continue our program of development into the future. To enable this ongoing level of investment, we are increasing our pricing from 2019/20 onwards in order to continue to provide you with the best payroll software in the UK. We believe our pricing remains excellent value and continues to be very competitive when compared to the options from other providers. We will continue to offer full support at no extra cost. For customers with three or less employees (who have been using our ‘Free’ version to date), BrightPay will cost just £49 (plus VAT) per year from April 2019, and will include full unrestricted functionality as well as free telephone and email support. Nothing, your BrightPay 2018/19 licence will continue to work as normal until the end of the tax year without any additional cost. Pre-order BrightPay 2019/20 today and we will email you when the software is available to download. We’d like to thank you for being a valued customer and for your continued support.